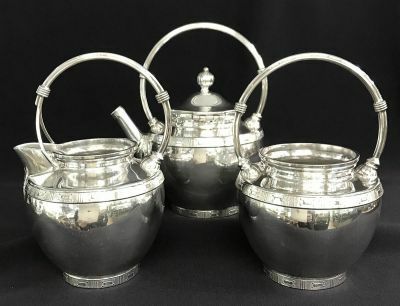 Aesthetic Movement Victorian era silver plate bachelor tea set, made by ACME Silver Company of Toronto, Ontario. The company existed between 1885 and 1893. The teapot is 6 1/2” high to the top of the handle.